Labour CS Yattani has laid down proper measures to see to it that the looming teachers’ strike that is likely to paralyze education in public schools is avoided. Schools will open next week on January 3rd for term one. KNUT SG had announced to to lead teachers in downing their tools until their issues are resolved. “Merry Christmas… but we can’t promise you that the new year will start well… parents should adjust their budgets very well because Christmas will be extended into the new year,” Knut chairman Wilson Sossion said during a press statement. The ministry of labour has tried everything possible to avert this strike and nothing has been left to chance. The latest action is a series of meeting that will start on 29th led by chairperson of the conciliation committee Mr. Charles Maraga. On Saturday 29th at 2.00pm the committee is slated to visit Knut headquarters and meet top leadership from KNUT to dig deep on issues affecting teachers. 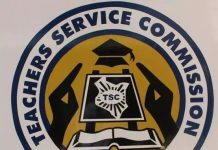 Later on 31st the committee will meet at TSC headquarters to seek clarification on issues that gave rise to the strike before proceeding to a joint conciliation meeting that will take place at Ministry if labour and social protection headquarters. Teachers promotion, delocalisation/transfer, performance contracting system and teacher development modules will take center stage at the table of conciliation. Mr. Yattani urged all parties to give dialogue a chance and resolve their differences. “Once again I urge parties to this dispute to give the conciliation process and dialogue a chance to resolve their differences noting the critical timing and weight of public interest in the matter,” said Mr Yattani.